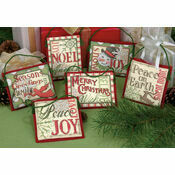 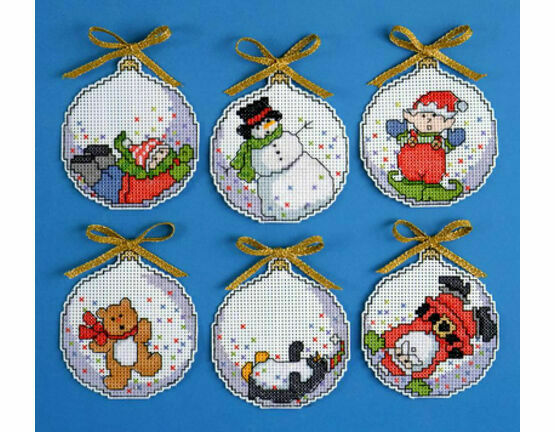 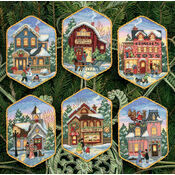 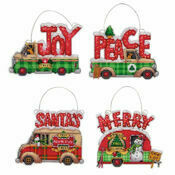 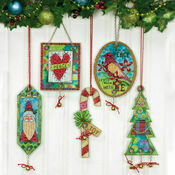 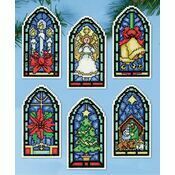 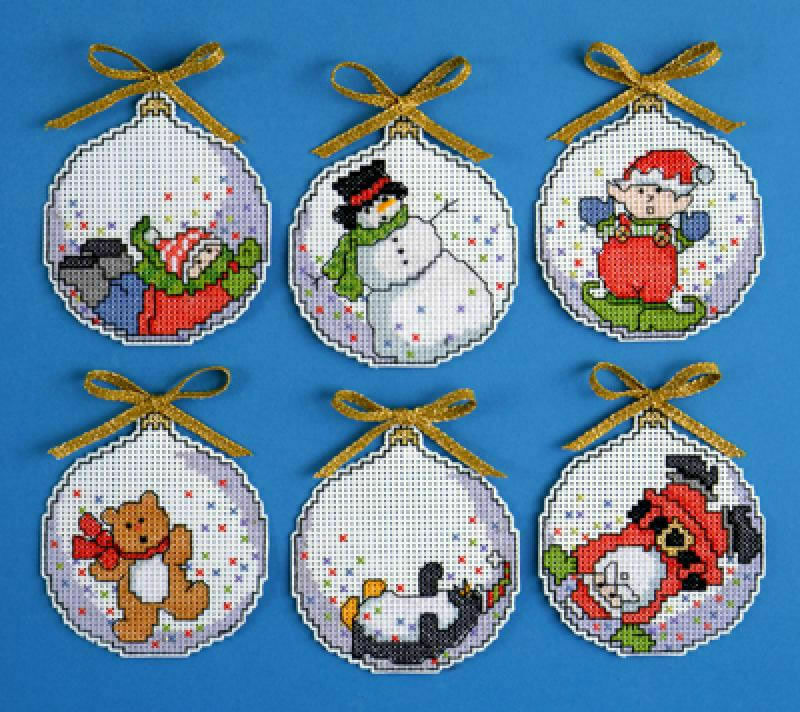 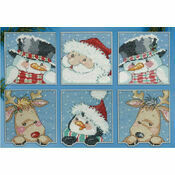 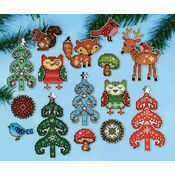 This adorable cross stitch kit comes with everything you need to make six Christmas tree decorations. 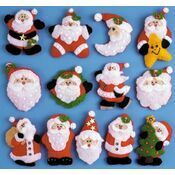 They make nice present ties too. 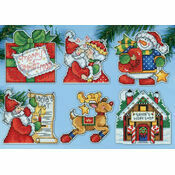 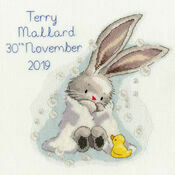 Kit contains: plastic canvas, thread, gold ribbon, needle, chart and instructions.